ER Editor: We also recommend this article entitled Danish No-Go Zones. The decision to send the criminal inhabitants of the asylum center to the uninhabited island of Lindholm caused great relief in Bording — an element the international press appears to have missed. Clearly, the right of law-abiding citizens to live in peace does not count for much on the scale of international moral outrage. Significantly, the outraged international press did not offer any answers to the legitimate question of what governments are supposed to do with hardened criminal asylum seekers, who pose a genuine threat to their surroundings and have been sentenced to deportation, but cannot be deported from the country because of international human rights obligations. The problem is far from a uniquely Danish one: virtually all European countries have signed international human rights conventions that leave them with the same dilemma. The country did not just “change”. Danish politicians, with their policies, changed it. Denmark made international headlines in late November 2018, when the Danish government announced a plan to send certain asylum seekers to the small, uninhabited island of Lindholm. The international outrage was intensified when it came to light that the island currently houses a research center for contagious animal diseases; that the ferry which the asylum seekers will be able to take to the mainland during the day (it does not operate in the evening) is named “Virus”; and that the asylum center will be accompanied by a constant police presence on the island. The group of asylum seekers meant to live in Lindholm consists of criminals of various sorts, including those who have been sentenced to be deported from Denmark, those who are considered a security threat to Denmark, and so-called “foreign warriors”. In the two and a half years since, police have filed 85 charges of violence, threats of violence, vandalism, shoplifting, and drug-related crimes against the inhabitants of the asylum center. The manager of the local supermarket in Bording called the presence of the asylum center “a living hell on earth”. The decision to send the criminal inhabitants of the asylum center to the uninhabited island of Lindholm caused great relief in Bording — an element the international press appears to have missed. Clearly, the right of law-abiding citizens to live in peace does not count for much on the scale of international moral outrage. Now, however, neighbors of Lindholm in the tiny town of Kalvehave on the mainland have voiced their fears regarding the establishment of the asylum center on Lindholm, which they see as merely moving the problem from one area to another. Some inhabitants are talking about putting up cameras, fences, barbed wire and even acquiring gun permits. 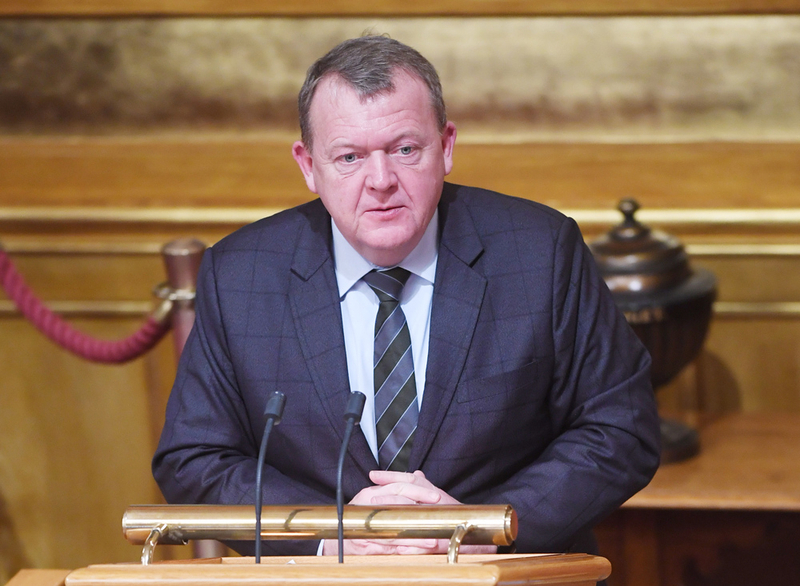 The prospect of inadvertently attracting more foreigners who may prove to be either criminals or security threats, however, did not dissuade Denmark’s Prime Minister Lars Løkke Rasmussen from signing the UN’s Global Migration Compact in December 2018, despite opposition to the initiative in his own government. It was even claimed that computer “bots” had generated the popular opposition against the Compact on the internet. The more likely reason for opposition to the UN Compact is that more Danes have come to acknowledge that migration has led to a number of grave problems in Denmark. “The café follows Danish law… This is our culture which we lack and miss a little. What is wrong with that? I simply do not understand why we have to become so integrated. Does that mean we should put away all our culture and be completely Danish? I’ve had enough now. I am very integrated, I have many Danish friends, take it easy, let us have something to ourselves”. Another way Denmark’s landscape has changed is in the increased presence of mosques. “The minaret is first and foremost a symbol”, according to the Turkish Cultural Association, which is behind the building of a Turkish mosque in Århus, Denmark’s second largest city. The mosque’s minaret, a 24-meter-high construction, is visible to visitors to the city when approaching it from the motorway. Turkey has been extremely active in ramping up its activities in Denmark, apparently as part of Turkish President Recep Tayyip Erdogan’s plan of strengthening Islam in the West. Denmark already has around 30 Turkish mosques out of approximately 170 mosques in total as of end of 2017. In 2006, there were 115 mosques in all of Denmark — an increase of nearly 50% in little more than a decade.